Yellow Bristle-grass is an upright annual growing 25 to 45 cm high, sometimes taller. 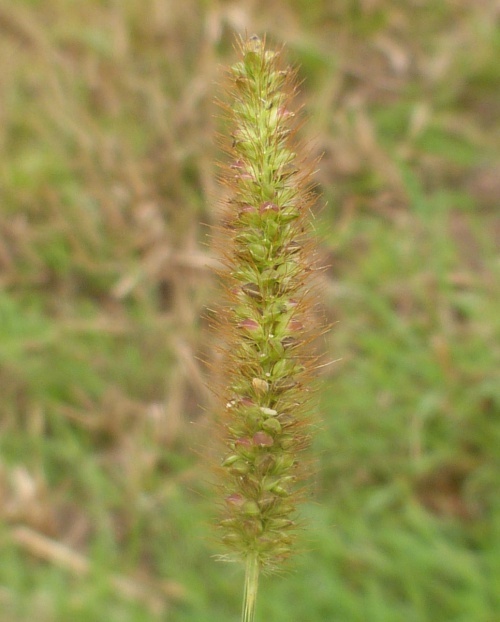 The seedhead is a cylindrical spike, 2.5 to 10 cm long. It consists of many densely packed spikelets, with each spikelet bearing a single seed. 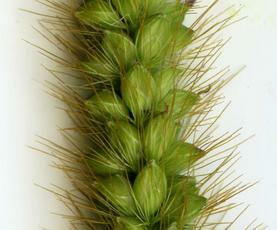 At the base of each spikelet are five to ten bristles, 5 to 8 mm long. 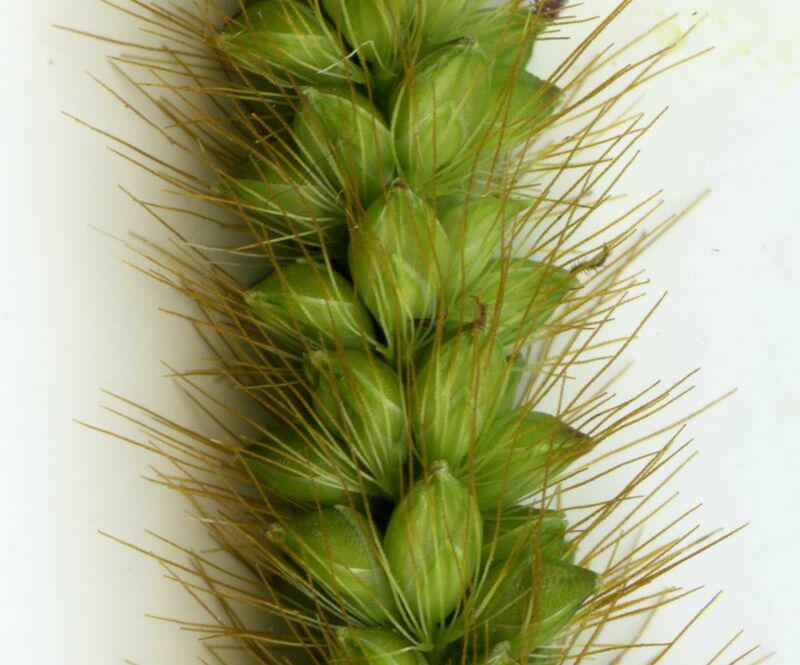 Initially the bristles are green, but soon change to a golden brown. It is the colour of these bristles that give the grass its name. 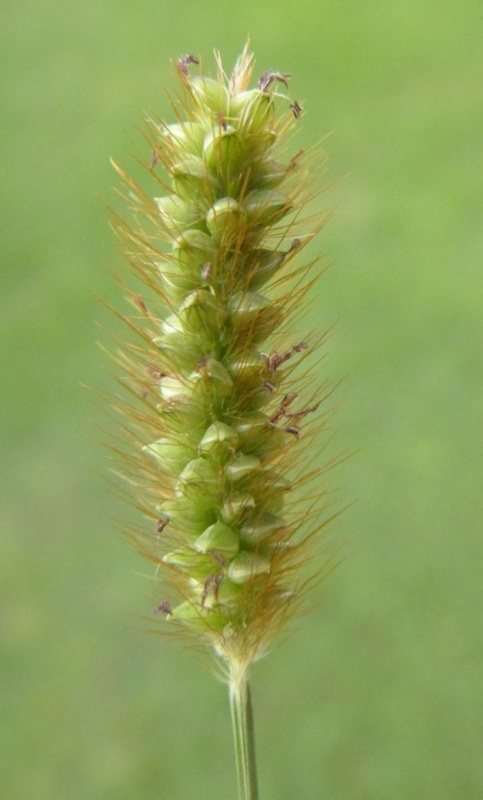 Most other Setaria species have fewer bristles in their seed heads. 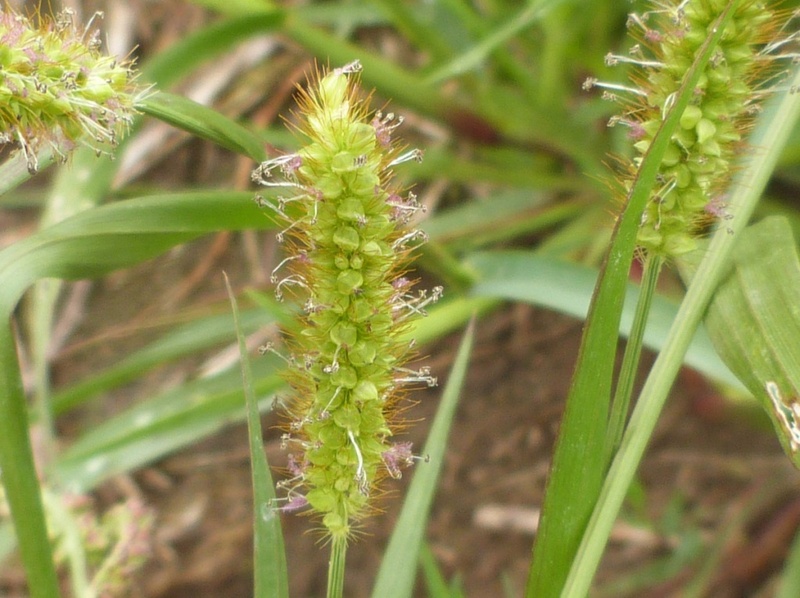 This grass is a casual colonist of waste ground and the margins of agricultural fields. It is a late season grass best seen from late July to October. 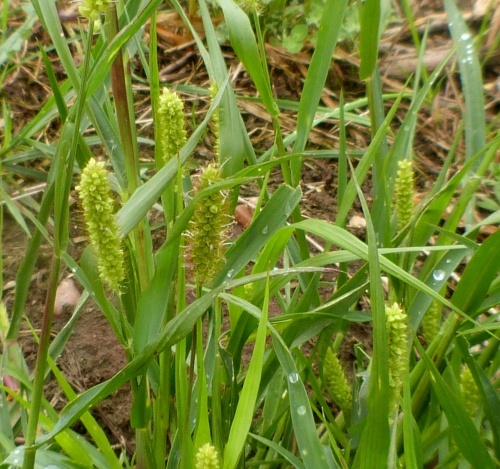 Yellow Bristle-grass is an annual plant. It may have been introduced in Britain as a contaminant of agricultural seed. Scattered records mainly from the southern half of Britain. 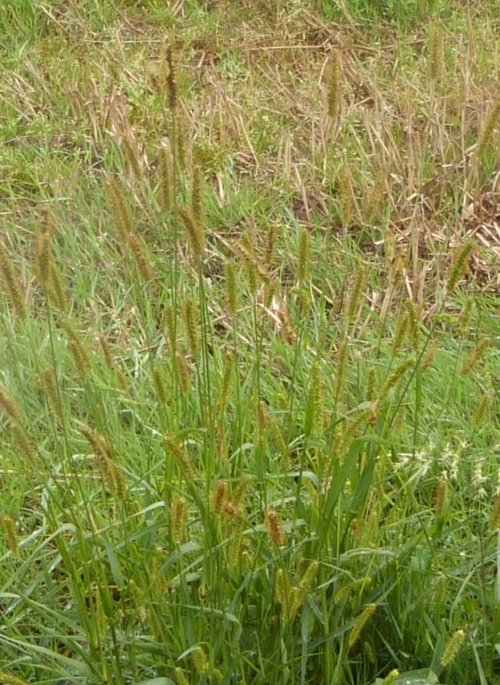 This grass is thought to be increasing and extending its range. Rare in Leicestershire and Rutland. 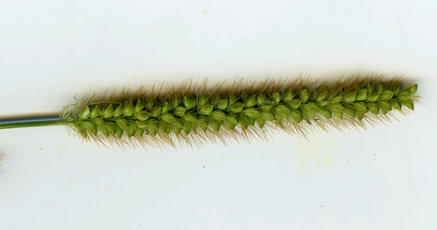 It was not found in the 1979 Flora survey of Leicestershire. The Sapcote record of 13th September 2010 was the first VC 55 record since 1971, but the species is believed to be increasing its range.